Game company Microsoft recently revealed the Xbox Games with Gold for the month of February this year. For the month of February, Xbox has lined up some interesting game titles for Xbox Live Gold members. 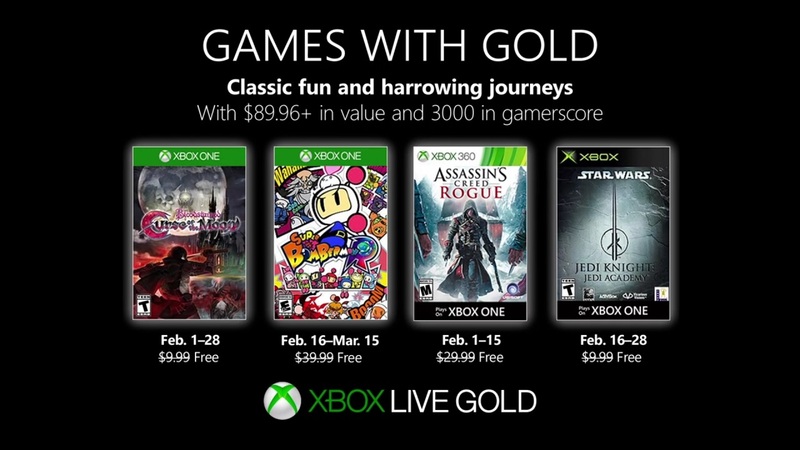 These games will be available to download for free throughout the month as part of the Games with Gold service. The first title to grace the lineup for the Xbox One is the old school 2D platformer video game Bloodstained: Curse of the Moon, which was also an homage to old school Castlevania games. This will be available on Feb. 1 and will last until Feb. 15. Another title coming to the Xbox 360 is Assassin’s Creed Rogue. For Feb. 16 to March 15 for the Xbox One is the Super Bomberman R video game. The last one is an original Xbox title Star Wars Jedi Knight: Jedi Academy. This will be available for download starting on Feb. 16 until the end of the month on the 28th.